Ornette's gone. It's hard to believe. The news came as a shock, as these things do. 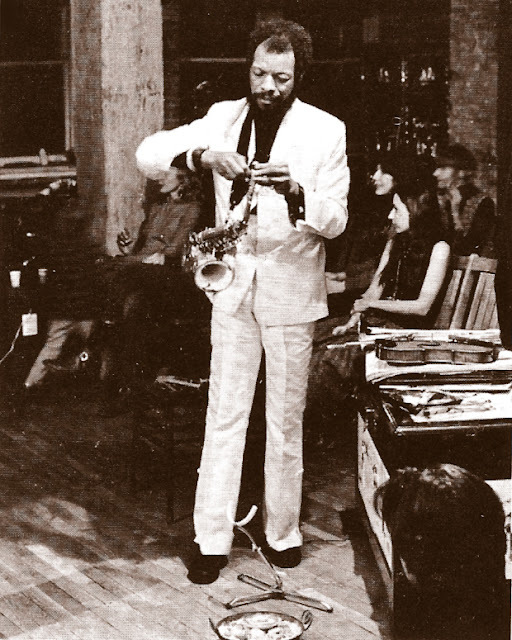 But I had grown up musically with Ornette's music and he seemed timeless, always there, always challenging expectations and surprising listeners. I suspect we all could say of Ornette, "I've waited all my life for you." Asha Puthli sang as much in her rendition of "All My Life," a Coleman composition that keeps playing in my head. 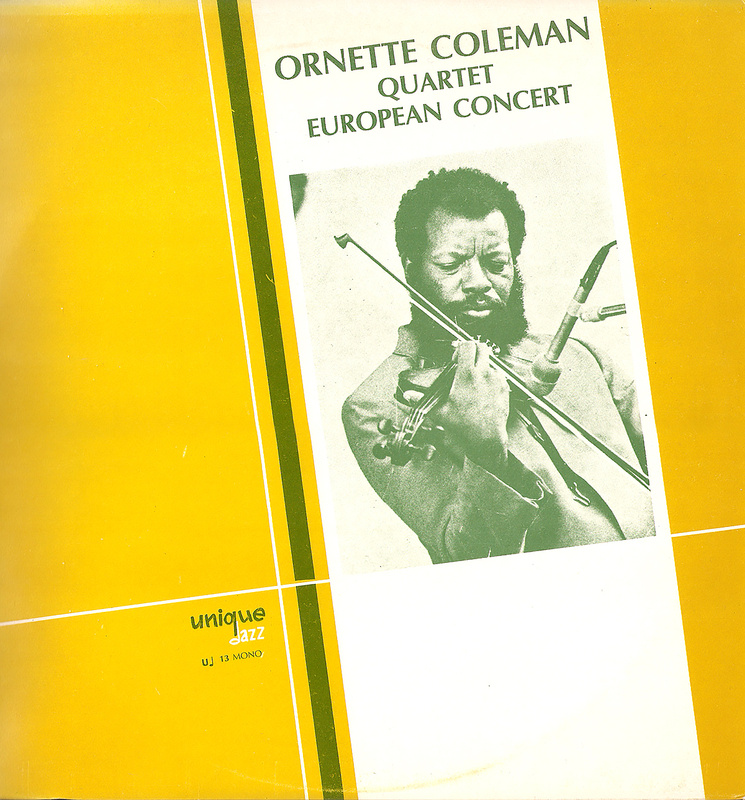 A colleague once complained to me that Ornette always played the same solo. I responded, "Yeah, but what a solo!" No one sounded like him, though there were many who were inspired by his music. Sonny Simmons, John Carter, Marion Brown, Giuseppe Logan, Oliver Lake, John Tchicai, to name just a few. To celebrate this great American original, here's a performance from Germany, possibly a television broadcast, issued in the '70s on the Italian bootleg label, Unique Jazz. 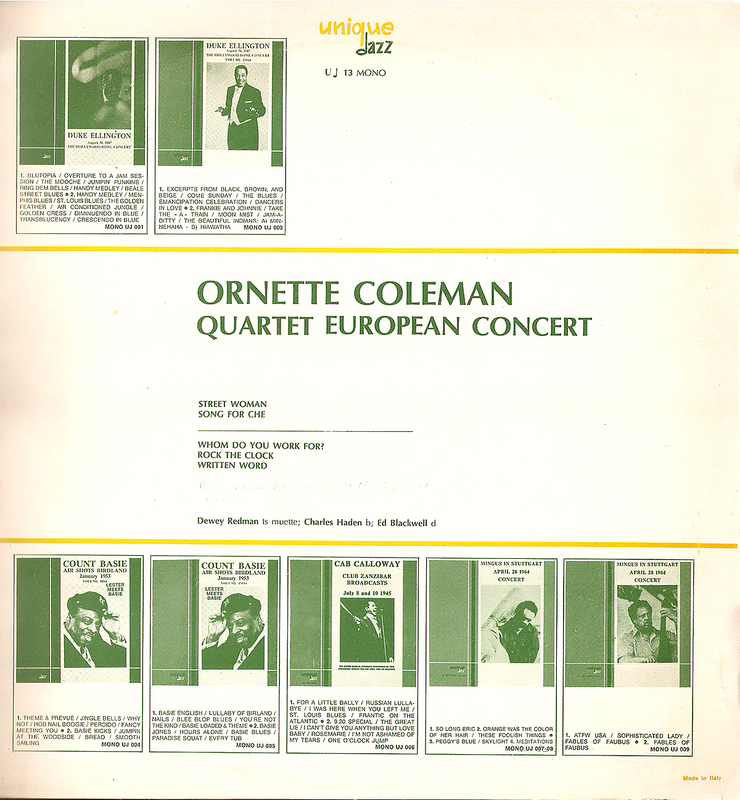 It features Ornette's second great quartet, the one with Dewey Redman on tenor. Dewey's singing through his horn, something that always sounded a little desperate to me, is particularly successful here, and he also does some effective playing on musette. Charlie Haden's beautiful "Song for Che" is an added treat. That fat bass sound! Sound quality is good despite the monaural recording, with no cleaning required. What you hear is the quartet at its best, recorded just prior to the period when Coleman would begin work on his symphony, "Skies of America." Not long after that, he would introduce his electric group, Prime Time, and the jazz landscape would shift once again. From the original vinyl as always, people. Ornette Coleman, as, tp; Dewey Redman, ts, mus; Charlie Hade, b; Ed Blackwell, d.
3. Whom Do You Work For?